The Eagles and their fans are excited to have their starting quarterback, Carson Wentz, back under center on Sunday. 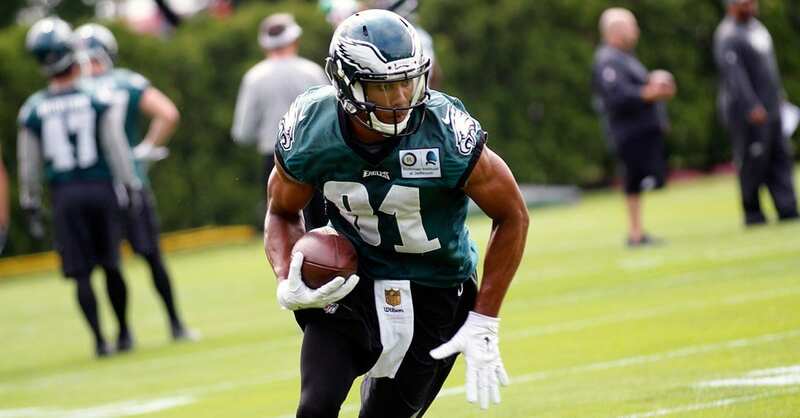 But Wednesday, Philadelphia announced that another player would be returning to their club: Jordan Matthews. The fifth-year wide receiver from Vanderbilt agreed to a deal to return to the team he was drafted by in 2014. Roster Move: #Eagles have signed WR Jordan Matthews and placed WR Mike Wallace on Injured Reserve. From 2014-16, Matthews was one of the top receivers for the Philadelphia Eagles. He is one of just five players to have 65 receptions and 800 yards in each of his first three seasons. In the summer of 2017, Matthews was traded from Philly to Buffalo. After playing a season with the Bills, Matthews became a free agent and proceeded to sign with the AFC champion New England Patriots. But plans changed quickly after he suffered a hamstring injury early in training camp and was released soon thereafter. He shared his thoughts with us on his uncertain NFL future back in August for The Increase. Matthews is expected to see action on Sunday against Indianapolis, once again catching passes from his good friend, Carson Wentz.